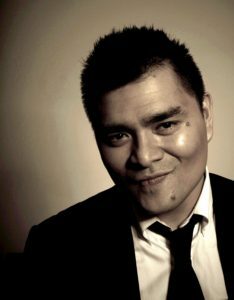 GLAD is proud to announce today that our 2018 Spirit of Justice Award will go to immigration activist, filmmaker, and Pulitzer Prize-winning journalist Jose Antonio Vargas. GLAD, now celebrating our 40th anniversary year, will present the award to Vargas at the 19th Annual Spirit of Justice Award Dinner on October 12, 2018, in Boston. The 19th Annual Spirit of Justice Award Dinner will take place on Friday, October 12, 2018. Visit www.glad.org/events for details. Vargas, a leading voice for the human rights of immigrants, is the founder and CEO of Define American, a non-profit organization fighting injustice and anti-immigrant hate through the power of storytelling. He went on to produce and direct two documentaries, “Documented,” about his own experience, and “White People,” an examination of white privilege in the Americas. His forthcoming memoir, Dear America: Notes of an Undocumented Citizen, will be published by HarperCollins in fall 2018. He has testified before Congress on immigration reform, and serves on the advisory board of TheDream.US, a scholarship fund for undocumented immigrant students. Last year’s SOJ honoree was The Honorable Eric H. Holder Jr., 82nd Attorney General of the United States, and past honorees include Black AIDS Institute founder Phill Wilson; author Jennifer Finney Boylan; activist Urvashi Vaid; Margaret J. Marshall, the former Chief Justice of the Massachusetts Supreme Judicial Court; Massachusetts Governor Deval Patrick and his family; Reverend Irene Monroe; Bishop Gene Robinson; Beth Robinson; GLAD founder John Ward; Terrence McNally; Mandy Carter; Reverend William Sinkford; Tim Gill; Del Martin and Phyllis Lyon; Tony Kushner; Laurence Tribe; and GLAD Civil Rights Project Director Mary L. Bonauto. Mr. Vargas will accept the award at the 19th Annual Spirit of Justice Award Dinner at the Boston Marriott Copley Place on October 12, 2018. The event is chaired by Attorneys Liz Doherty and Mario Nimock. Details about the event are available at www.glad.org/events.